I am addicted to sunglasses. Even on the cloudiest of days, I cannot leave home without them. I think blue eyes are extra sensitive to the sun. 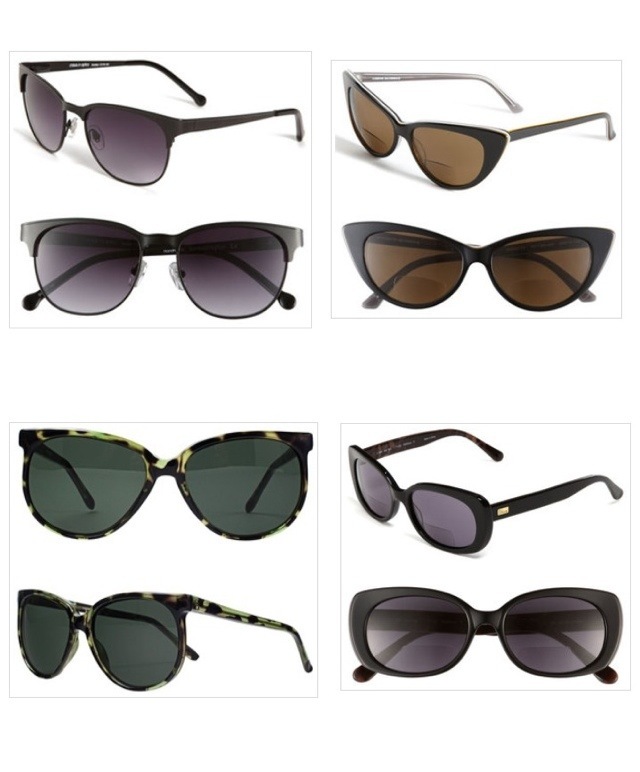 Choosing the right pair is essential, especially if you’re spending a lot of money. They are a major statement piece and it’s important to wear a pair that fits your style. 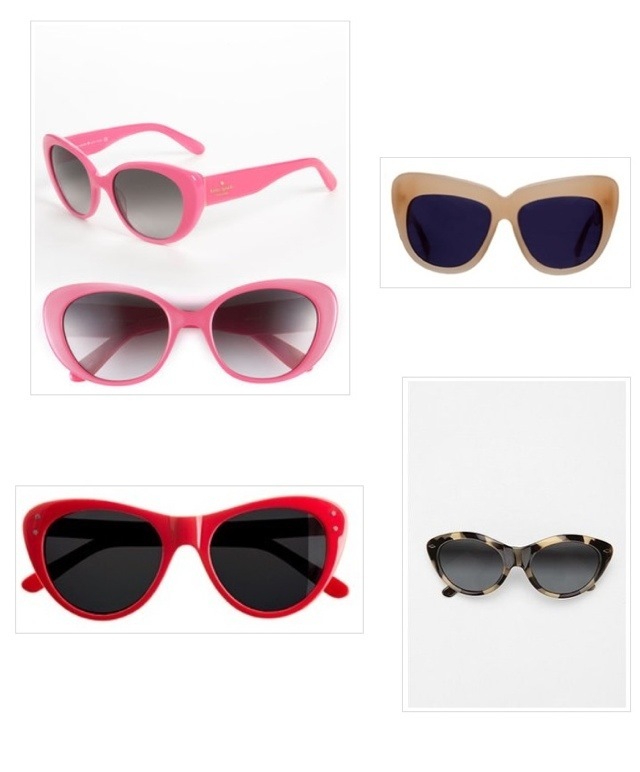 A huge trend in frames this season is the Cat Eye. This silhouette has been around for decades, but comes and goes as far as trends are concerned. I’ve always been a huge fan! They are super glamorous and look great on almost everyone. Here’s a look at my top picks this season. Tortoise, especially in coffee shades, are huge right now. This color really does look good on everyone. Neon and other bright colors are another hot trend for summer. They are super playful! Sometimes simple and more subdued is the way to go. These are more reminiscent of those from decades gone by. 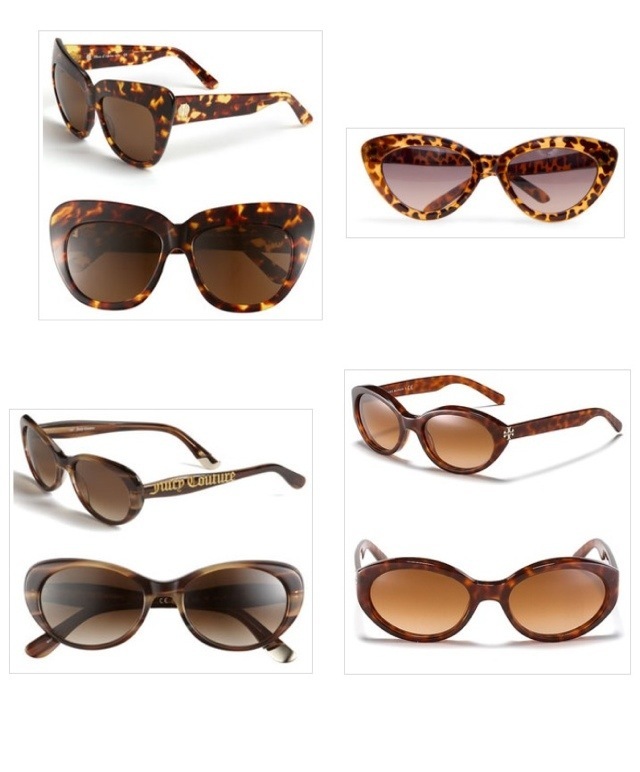 Sunglasses are the ultimate accessory when the sun is shining. Be sure to try on many pairs, get someone’s opinion, and have fun!! I love the House of Harlow pair……..